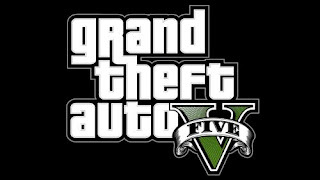 Tomorrow, after a surprisingly long duration of silence, we will finally know what is happening with Grand Theft Auto V. Announced last week with nothing more than a suggestive logo (seen above), the appearance of the game came out of nowhere after a few years of Rockstar focusing on their other titles, namely Red Dead Redemption and L.A. Noire. We all knew a new GTA was coming but when was another story, so the arrival of the game's trailer will certainly be interesting. If you have been following me on this blog for a while then you would be aware of how much love and respect I have for the last Grand Theft Auto: GTA IV. While I wouldn't necessarily consider it to be one of my most favourite games from this generation, the fascination I (still) have with the game's version of Liberty City elevates it to a level that few other games reach -- simply put, I believe Rockstar's achievements with Liberty City in GTA IV are incredible, and the place still manages to blow my mind every time I pop in for a visit. I've covered this many times before, however, so I won't expand on this point but it goes without saying that, due to my love for Liberty City in Grand Theft Auto IV, my anticipation for whatever Rockstar have in the pipeline for GTA V is sky-high. As soon as I heard the news last week that it was finally coming, it shot straight to the top of my most desired games from next year. Yes, even over BioShock Infinite and the new Tomb Raider -- how's that for excitement, eh? Anyway, I thought I'd take the time to make some personal predictions and disclose some of the things I want from the new game, particularly given that it's a numbered title rather than one with a subtitle. Usually when this happens it is because Rockstar believe they've made a ground-breaking step with the franchise, as was clearly demonstrated with the step up from the GTA III era (which includes Vice City and San Andreas) to GTA IV (whose continuation lied with the downloadable episodes, rather than individual titles). I know, I know, everyone jumps on the speculation train when it comes to something new in the Grand Theft Auto franchise so by doing it myself I'm just adding to the noise that, eventually, no one will even remember. But part of the beauty of the GTA series is the personal takeaways and anecdotes that its open-world, free-form nature allows for, so as a result it's only natural that its players have their own personal desires and expectations for each new title. That and, if you ask me, it's about time Grand Theft Auto as a whole started to do some things differently, so you'll find my desired changes below. If GTA V can eclipse this, it's doing something right. A Continued Push Towards Realism: Grand Theft Auto IV divided the fanbase into two camps, those who enjoyed the more realistic and mature approach Rockstar took with the title, and those who missed the more zany, outrageous antics of the PS2-era GTAs. Naturally, as we approach details of GTA V these two camps are being very vocal about which direction they'd prefer to see the game take, complaining whenever the opposing one suggests something they don't like. Personally, I fall into the GTA IV 'mature' camp, but not because of the same reasons these people do. I want Grand Theft Auto V to continue focusing on maturity and, in particular, a more realistic approach because the ramifications of that direction appeal to me more. Rockstar have made some intriguing experiments with videogame storytelling in their recent titles and as someone interested in seeing games allowing us to inhabit these fictions, that's something I'd like to see continue with the new game. But if not for the narrative's sake, then I want a realistic approach to permeate Grand Theft Auto V because of the way in which it gave consistency and coherency to Liberty City in Grand Theft Auto IV -- put simply, I believe the game was more immersive because of the attention to detail and atmosphere that a more realistic style required. I thoroughly enjoyed the physics and handling of GTA IV's vehicles, for example, and how they behaved a little more like real cars (as opposed to floaty boxes) due to the sense of weight they now had. While obviously nowhere near the levels of racing simulations, this weight allowed for the game to communicate things like grip in a believable way, giving tactile feedback and a more informed sense of control to the driving mechanics of the game, as well as ensuring that these vehicles actually felt connected to the road and, more importantly, that they belonged in the environment. While Niko's (and later, Johnny and Luis') movement controls were inconsistent and arguably a little slow, his animations and weight also gave the impression of a connection to Liberty City, enhancing the ability to assume his character as we explored the environment and developed the story. These minor details, plus many more, really lifted Grand Theft Auto IV above other open-world games for me, something that continued in Red Dead Redemption -- it'd be nice to see GTA V follow the same direction, if not for the potential in storytelling than certainly because of the way in which it affects the game space. A Female Protagonist: It remains to be seen whether we will ever be granted a female protagonist in a Grand Theft Auto game, but if any developer was going to try it and actually do a meaningful job with it, it's Rockstar. You only need to look at a character like Bonnie MacFarlane from Red Dead Redemption to know what they can do with female characters, so extending that to a playable woman (or girl -- think along the lines of Bully) for GTA V would be an interesting outcome for the franchise. They've already experimented with characters of colour (San Andreas; Luis from The Ballad Of Gay Tony expansion) and other, less explored territory for their characters (Gay Tony would be another example -- it's up to you to decide whether these experiments have been meaningful or not) so seeing a female protagonist in Grand Theft Auto V isn't necessarily as big a stretch as it may initially seem, particularly when rumours abound suggesting that this new installment might contain multiple playable characters for the main story, rather than just one like its predecessors. But whether one dominates the game like Niko did for GTA IV is another story (if one is included at all), so I guess we will find out either through the trailer tomorrow, or as more details about the game show up as we head towards its release. Personally, though, I would absolutely love it if the whole game was led by a female protagonist, as the result of that wouldn't just be interesting from a Grand Theft Auto point of view, it'd also be interesting from an industry perspective, too. Rockstar are usually regarded as pioneers and it's not unusual for developers to follow their lead -- if Rockstar were brave enough* to use a female protagonist then that could indirectly motivate other developers to use them for their games, too, improving the videogame medium by making it more diverse and catering to a wider spectrum of players. Time will tell on this one. New Faces, New Places: While GTA: Vice City and GTA: San Andreas were interesting from a character development point of view, it wasn't until Grand Theft Auto IV that I believe Rockstar begun to make real progress as far as creating decent characters was concerned, something that only improved as the two downloadable episodes were released, and then later again when Red Dead Redemption hit the market. Now that they've gained some experience in creating multi-layered, unpredictable and intriguing characters, I'd love to see what Rockstar can do with a completely new cast that is separate to anything and anyone that we've seen before. I don't want to see cameos by Niko, Luis or Johnny, and I certainly don't want to see Claude, CJ or Tommy Vercetti appear either; instead, I want new people to get to know, new people to make friends (and enemies) with, and new relationships to be born. It doesn't matter whether this is in the form of multiple protagonists (as is rumoured), an emphasis on relationships (family or otherwise) as in GTA IV, or in the list of characters that make up the rest of the game -- all I want to see is new faces who continue to embody the direction that Rockstar appear to be heading in and who, more importantly, become people we care about as they join the ranks of the medium's other wonderful characters, such as the aforementioned Bonnie from Red Dead Redemption, the cast from Mass Effect or the companions from the Uncharted series. On top of that, I don't want to see a return to Vice City or the large, diverse environments that made San Andreas so compelling, even though a modern take on them would be quite fascinating (think of the way in which Liberty City changed from GTA III to GTA IV). Instead, I want to see a completely new city or expanse of land, one that gives Rockstar the chance to take us somewhere new and to show us something different, and one that can join those wonderful places as being some of the best videogame locations of all time. Aside from rumours floating around about a return to Vice City or Los Santos (GTA's version of Los Angeles, suggesting that the new game could be set in San Andreas), there's also some suggesting that this time around the game could be set in Washington D.C, particularly poignant given the material such a setting would give Rockstar, political or otherwise, and because of the proximity of that city to places like Baltimore and Philadelphia (not to mention New York or, in GTA terms, Liberty City). 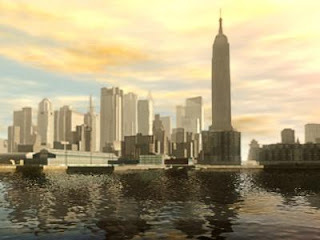 While nothing more than a rumour right now, I actually really like the sound of a Washington setting so while I'm not going to commit to expecting it, I do definitely think it would be an interesting change to what we experienced with Liberty City just a few short years ago. Wherever Grand Theft Auto V is set, be it a return to familiar places or new environments entirely, I am sure that the same care and attention will be given to the setting and as such, I can't wait to inhabit and explore GTA V's locations, no matter what they end up being. But it would be nice to see something new, so here's hoping that Rockstar's feeling the same way. Will GTA V see the same level of detail? A First-Person Perspective: This may be somewhat bold (not to mention surprising), especially considering how crucial a third-person viewpoint is for things like driving and brawling, but I predict that Grand Theft Auto V will have (because I'd like to see) a first-person perspective because that would represent the kind of shift Rockstar like to make whenever they do another numbered installment in the franchise. Grand Theft Auto IV was already incredible due to its atmosphere and attention to detail, where walking around the city was just as exciting as participating in an intense battle was -- imagine if GTA V provided this in a first-person perspective, where we were even more up close and personal with the environment and where things like shooting could adopt the insane progress we've made in recent years from other genres. Imagine driving with your focus behind the steering wheel as opposed to the car you're driving, or the potentially visceral brutality of melee as you fight against your foes. 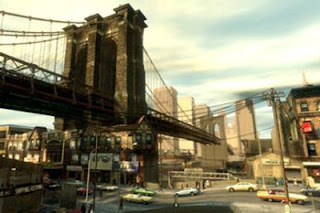 By using the first-person, Rockstar could fix a lot of the issues that GTA IV still exhibited despite immense improvements over the PS2-era titles, because our medium's obsession with First-Person Shooters has resulted in great gun-play while things like movement have been advanced thanks to titles like Mirror's Edge. The likelihood of Grand Theft Auto V being completely in the first-person perspective is probably rather slim, despite my desire to see Rockstar attempt such a thing with the series, but I have a feeling with GTA V so I guess we'll have to wait and see. If anything, they could opt for a mixture of first-and-third-person, similar to what Bethesda does with their Elder Scrolls and Fallout franchises. Multiple Cities: Whether it's revisiting old favourites or taking us to where we (and GTA) have never gone before, I believe Grand Theft Auto V will feature more than one city. The first reason I think this is because that's a direct way to improve on what was managed with Liberty City in GTA IV, signifying the next step up that the 'V' in the title represents, and the second is because Rockstar are ambitious like that and would want to send this generation out in a way that only they can. If the main game doesn't contain at least two cities (with rural areas and etc. in between), then I think they'll do it using downloadable expansions after the success they had with GTA IV's DLC. If the rumours about LA/Los Santos are true then it is quite possible that we will see the entirety of San Andreas, recreated as Liberty City was last time around. If it is a new setting altogether, like the aforementioned possibility of Washington D.C, then we could be seeing places like Baltimore, Philadelphia or Chicago appear for the first time. Wherever it will be, and whether it's on the disc or through expansions after release, I definitely believe GTA V will have multiple locations for us to explore and inhabit, so I look forward to seeing what those places will be when Rockstar reveal them. In some respects, they can't not offer more than one city: the fans have been pining for a new San Andreas for years and whilst what we may be getting with GTA V might not satiate that particular desire, I dare say the new environments -- and the fact that multiple locations offers the diversity that these people are after -- certainly will. Storytelling Progress: Whilst I already covered what I'd like to see Rockstar do with storytelling above, what I believe they will do happens to follow the same path -- after playing Red Dead Redemption I have no doubt in my mind that Rockstar have made it their goal, somewhat, to focus on and emphasise the importance of storytelling in videogames, and that they will be demonstrating their progress in this area with Grand Theft Auto V. Whether it is driven by a strong suite of characters, the journey that its protagonist(s?) will take or through the environmental information its setting can convey, I definitely think Rockstar are keen to continue telling tales and if they expand upon the progress they have made so far, then GTA V will be very interesting from a narrative point of view. Ultimately speculating on this aspect of the series is difficult because it's hard to know what direction they want to take the franchise in, let alone what they may or may not want to do on the storytelling front, but their approach to this generation thus far has all but confirmed to me that they are trying to advance the medium, once again, because few other developers seem comfortable in doing so. Will it result in the same levels of controversy that previous Grand Theft Auto titles have received? Maybe, but then again it is because of this controversy in the first place that we've made the progress we have in such little time, so I do think we will see it continue with Grand Theft Auto V. I just can't see them returning to the immature, juvenile antics that they used to revel in. Sure, it has its place in the medium as Saints Row clearly exemplifies, but Rockstar had their adolescent fun so now it is time to see how they're faring as an adult -- something I'm sure they are just as eager to find out as we are. Guess we'll find out with the trailer tomorrow! So there you go, my personal desires and predictions for Grand Theft Auto V. I can't wait to see what Rockstar will be revealing in the trailer and, indeed, as the game gets closer to release (I strongly suspect Game Informer's next cover will feature the game, too). Despite having these preferences and forecasts, I'm excited for the game no matter which direction they choose to head in. The franchise is one of the few in this industry that transcends the medium it exists in and is truly a global, cultural phenomenon -- the explosion on the Internet after that simple logo was shown proves this -- so, no matter what the game actually involves, it's just great to have a new GTA on the horizon and something to reinvigorate people's passion for games again after an arguably dull period in recent times. A new Grand Theft Auto is an event as much as, if not more than, it is a new game in a successful franchise so yeah, absolutely, I'm going to indulge in the emotion and attention that such a thing inspires in so many people. Something like this doesn't happen every day so the fact it is happening tomorrow is an incredibly exciting thing. Bring it on! *It irks me having to call using a female protagonist a “brave move” but, let's be honest, male-centric campaigns dominate the medium currently and whilst some developers have made inroads (think BioWare, or Valve), the reality is that most are too comfortable with using male characters for their games' leads. Things are changing, slowly, but they would change even faster if Rockstar led the way and showed them how things can, or should, be done. Here's hoping. I am going to have to agree on the female protagonist. It is one thing that GTA lacked probably due to all the hookers being women. This should be interesting I usually only pay attention when major updates in the series come out. I have faith in RockStar though because their track record has been pretty amazing as of late. Thank you for the post u had been posted buddy. Thanks!